We are just weeks away from this year’s Latin Grammy celebration in Las Vegas. Some hard working tropical music artists will receive an award that will be quite significant for the rest of their musical careers. Who will the winners be? Well, for now you can decide who’d win if it was only up to you. Below is a list of the artists nominated, with links so that you can listen and pick your favorites. We’ll also tell you our choices, and next month we’ll all find out how close (or far off) we were. The beat of Cuban music is irresistible in this album. You want to listen to “Mujeriego” and to the song that gives the album its title. “Pastilla de Menta” should be great on the dance floor. Listen and purchase on Amazon.com here. You met Aponte first as one of the voices of El Gran Combo de Puerto Rico. Now he has gone solo and his music is right away being recognized. In the song that gives this album its title, Aponte says that he’ll wear a tux if he has to go to fancy events, but that his music is actually “pa’ mi gente” (for the people). Well, looks like he gets to get dressed up anyhow and go to the Latin Grammy to find out if he’ll win. Listen and purchase on Amazon here. This is why the Latin Grammys are important. We had not heard of Chiquito Team Band until now, this fabulous Dominican Salsa band that we know you are going to want on your playlists. Listen to “Abreme Los Caminos,” “Chavela,” and “Opao,” although you have lots of options here in this long album of 18 tracks. Listen and purchase on Amazon here. We have a feeling that this one is going to win, folks. And not because of who the artist is, but because this album is actually very nice. Here you’ll find collaborations with Farruko, Gilberto Santa Rosa, Glenn Monroig, Juan Luis Guerra y la 4.40, and Bad Bunny. The song “Salsa Pa’ Olvidar las Penas” is gold! Listen to the lyrics. There’s not a word you’ll disagree with! Listen and purchase on Amazon here. Pete Perignon is the son of the famous Don Perignon, here showing that he has inherited pure talent. This is Salsa dura, with song after song that will be fantastic on the dance floor. Our favorite is “Marcolina.” Listen and purchase on Amazon here. Puerto Rican Elvis Crespo delivers here a tribute to Colombian vallenato singer Diomedes Diaz, delivering the latter’s vallenato and cumbia songs infused with merengue rhythms. Listen and purchase on Amazon here. We told you about this album last month, and it was no surprise to us to see it on the list of nominated works. Every song in this album is full of energy, and if you were Salsa-ing in the 80s, it will fill you up with memories. Listen and purchase on Amazon here. If you like bachata, this will be right up your alley, although there are also a couple of Urban songs in the mix, with collaborations by Badoxa and Jay Maly. This is a long album of 17 songs. Listen and purchase on Amazon here. Here’s more bachata, this time with Romeo Santos, in this long album of 18 songs. The highlights for this one are “El Amigo,” a song in collaboration with Julio Iglesias, “Un vuelo a la” which features Jessie Reyez, and “Carmin” a beautiful partnership with Juan Luis Guerra y la 4.40. “Bella y Sensual” has an Urban beat, together with Daddy Yankee and Nicky Jam. A couple of songs are marked “Explicit” because they have a word or two that you wouldn’t want your 5-year-old singing out loud. Listen and purchase on Amazon here. Long album of 18 songs, Carlos Vives delivers vallenato and pop with collaborations by Shakira, Sebastian Yatra, and Thalia. “Los Ninos Olvidados” is an interesting song with Urban/Folk Colombian singer Cynthia Montano. The song “Monsieur Bigote” features Carlos’ daughter, Elena Vives. Listen and purchase on Amazon here. This is a beautiful album by Cuba’s Septeto Santiaguero and “El Canario,” with various collaborations with the likes of Alexander Abreu, Gilberto Santa Rosa, and Maraca. Our favorite is the bolero “Convergencia,” in which you’ll enjoy a duo by Gilberto Santarosa and “El Canario.” Find this album on Spotify. A tribute to Cuban singers, it’s rather strange to listen to this album, since Blades, on purpose, did something to his voice to change the tone that we have grown to recognize. The music, of course, is excellent. Listen and purchase on Amazon here. If it was up to us, this one would win. Diego Cigala’s collaboration in “Dos Gardenias” is an enchanting bolero in an album that is mostly Salsa, with a few cumbias in the mix. Listen and purchase on Amazon here. 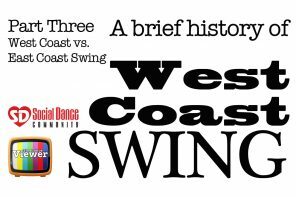 This album includes some jazzy tunes (with new arrangements) perfect for dinner time, as well as a couple of numbers that would be awesome on the dance floor. Listen, for example, to the lovely “Para el año que viene,” a collaboration with Issac Delgado, and to “Popurrit” with Aymee Nubiola. Listen and purchase on Amazon here. Here’s another singer that we just discovered thanks to these Latin Grammys. Venezuelan singer Maria Rivas jumps back and forth between Spanish and English lyrics in her songs. 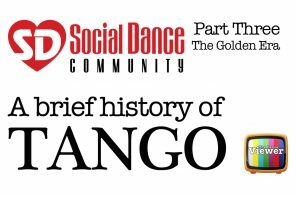 Our favorite is “The Day I Saw you Last,” which your feet may want to dance to a cha-cha step. Listen and purchase on Amazon here. 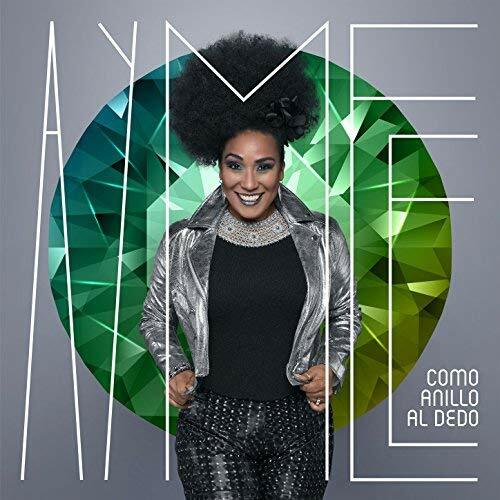 Our pick for this category is Aymee Nuviola and her COMO ANILLO AL DEDO, in which she delivers Cubaton, timba, and merengue. Listen to favorites for the dance floor like “Donde Esta el Billete,” and to the song that gives the album its title. Listen and purchase on Amazon here. A vallenato with a tinge of reggaeton, this song, performed by Silvestre Dangond and Nicky Jam, has a great rhythm that forces you to move. Performed by Reynier Pérez y Su Septeto Acarey, and featuring Gilberto Santa Rosa, this song is amazing, and our favorite to win. This song by Tony Succar features Jean Rodriguez and it’s an upbeat Salsa and a great contender. Ok, so maybe this one will win… “Quiero Tiempo” is performed by Victor Manuelle and Juan Luis Guerra, which is a difficult combination to beat, don’t you think? This song is part of Victor Manuelle’s 25/7 album, which, as noted above, is nominated in the Best Salsa Album category. Performed by Fonseca, this is a modern vallenato that sounds quite pop-ish. He has various versions of the song, including an acoustic version and one featuring Melendi. Our favorite on this category is Bobby Valentin and the Latin Jazzists’ MIND OF A MASTER, which has flavorful music, including “Coco Seco,” a great energetic track. Listen and purchase on Amazon here. 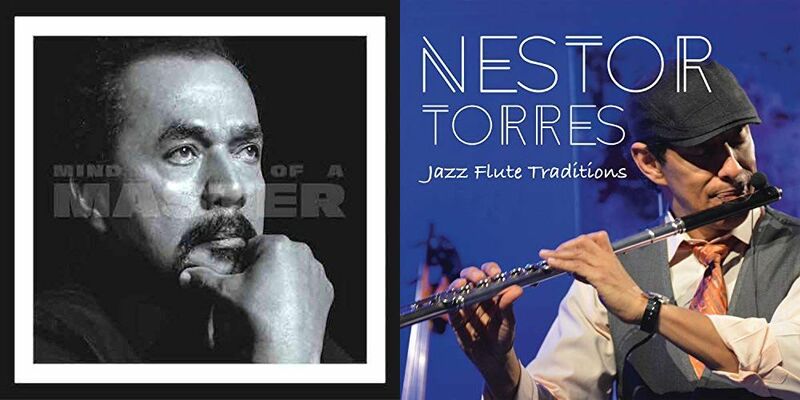 But we must say that Nestor Torres’ JAZZ FLUTE TRADITIONS is a powerful contender, as it takes you on a musical tour throughout time and lands. Listen and purchase on Amazon here. So what do you think folks? That is a lot of great music, crème de la crème, per say. The Latin Grammys will be held on Nov. 15, and one artist in each category will be awarded with a prize that is going to look very good on a resume! 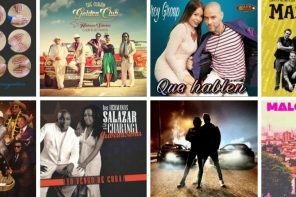 Of course the Latin Grammy also awards musicians in the pop, urban, folk, Brazilian, and other genres, and there’s much more to be explored than what we did above. We encourage you to take the time to hear the music. We will be back at the end of November and by then we’ll know who the winners are and how close (or far) we were in our predictions/preferences. Until then, have a wonderful time on the dance floor and beefing up those music playlists.